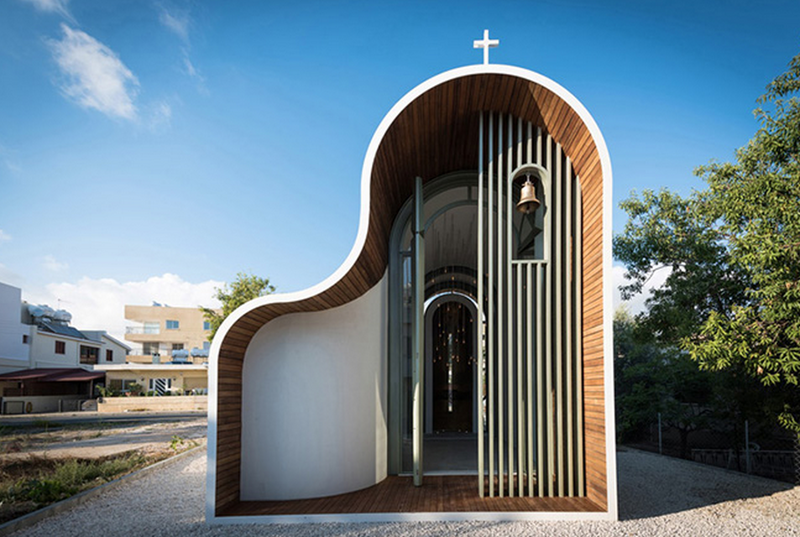 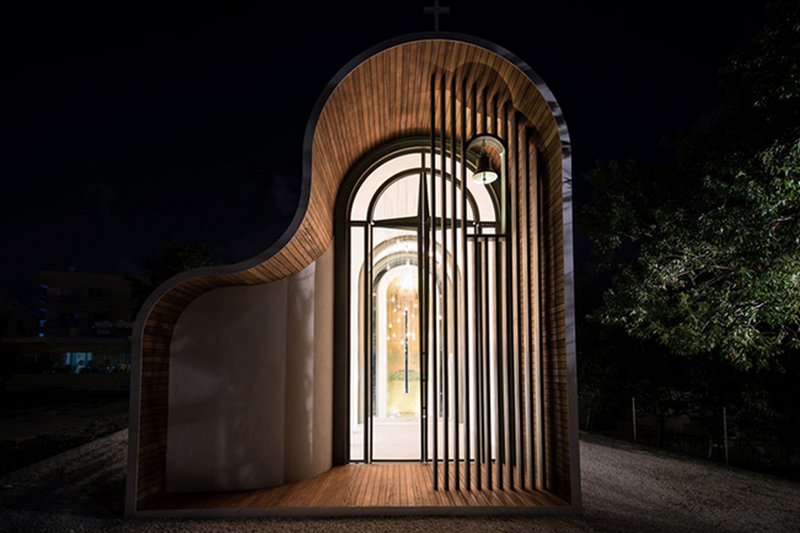 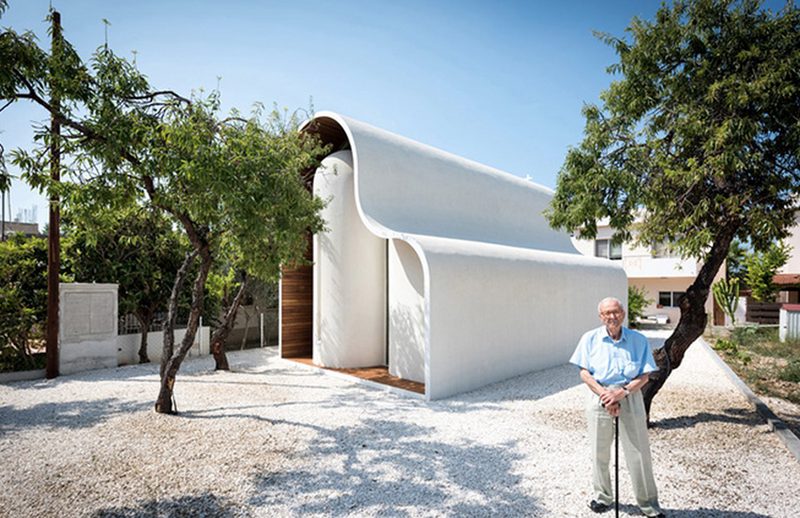 A chapel in Greece designed by architect Michail Georgiou is a contemporary reimagining of the local orthodox ecclesiastical architecture. 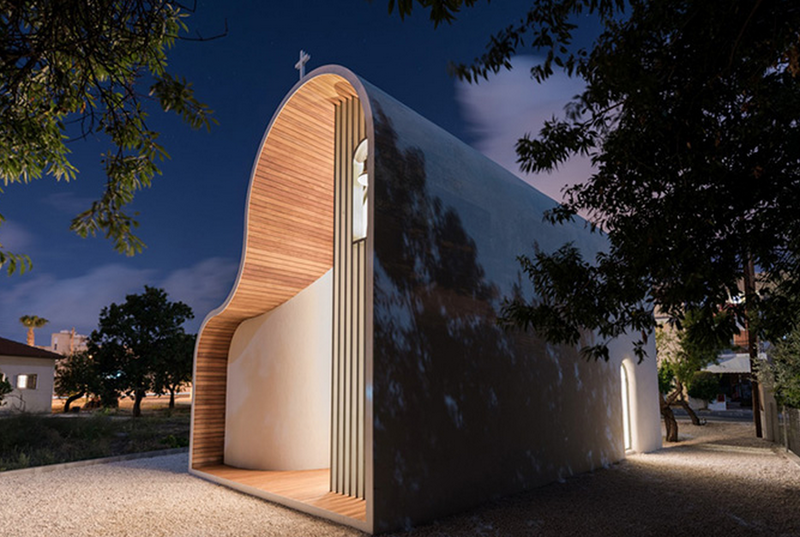 The Apostle Peter and St. Helen the Martyr Chapel, in Pafos, Cyprus contains a narthex, a nave, a side aisle, a sanctuary and a prothesis, the standard elements of a traditional double-aisle vaulted orthodox temple, but packs all of this into a tiny area of only 600 square feet. 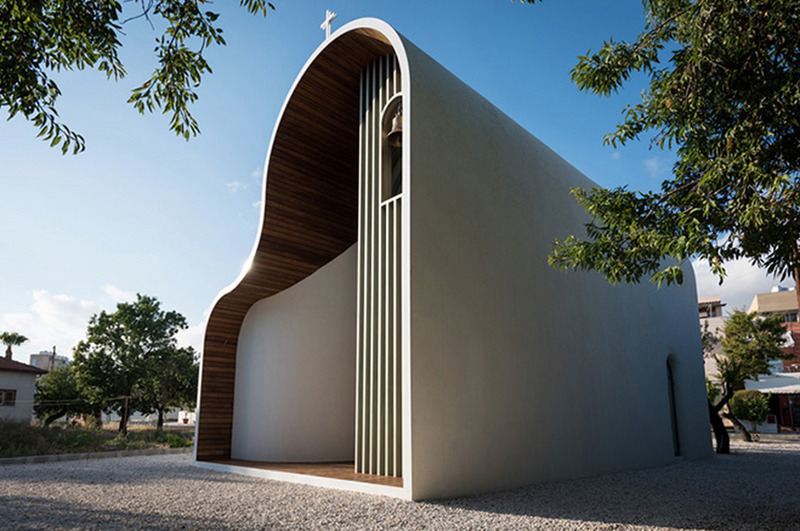 The many-domed structure of typical orthodox chapels has been transformed by Georgiou into a single sweeping form which makes up both the walls and roof of the chapel.